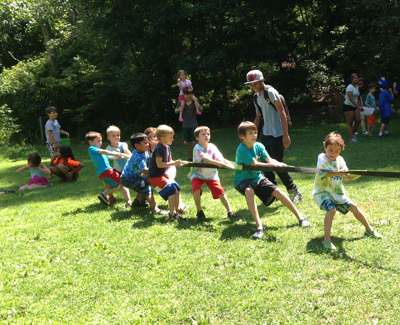 The athletics program at Miquon Day Camp focuses on creating a fun and supportive physical experience for campers. The activities are cooperatively based and focus on building skills such as throwing, catching, balance, teamwork, and spatial awareness. Games are adjusted for each age level to ensure the right amount of safety and challenge. The athletics schedule culminates with the Miquon Summer Games, an adaption of the classic field day.